​Eden Hazard will refuse to sign a contract extension with Chelsea even if the Blues refuse to sell to Chelsea this summer, in an attempt to force an exit from Stamford Bridge. In one of the longest running transfer sagas in world football, Hazard appears all but set for Real Madrid after months of public courtship and reports of his desire to link up with Zinedine Zidane at the Santiago Bernabeu. With just one year left on his contract, the 28-year-old wants an amicable exit from Stamford Bridge, where he has won two Premier League titles and an FA Cup, while ​​Chelsea​ manager Maurizio Sarri seemed to admit after the win over West Ham that ​the club could not stop him leaving. However, despite the player's desire to leave and his contractual situation, recent reports claim that Chelsea's hierarchy ​will attempt to hold out for £100m for Hazard. With an impending two-window transfer ban, Chelsea are very reluctant to lose their talisman and their high asking price could see ​Real Madrid shop elsewhere. ​Starsport meanwhile claims that the Blues will not budge from their valuation and will continue to 'stonewall' the 13-time European Champions. However, even if that is the case, the ​Telegraph report that Hazard will refuse to put pen to paper on any sort of contract extension, and walk for free in the summer of 2020. The report claims that Hazard hopes this brinkmanship will force Chelsea into agreeing a deal with his dream club Real Madrid this summer, as the lesser of two evils. With the 2015 PFA Player of the Year already 28 and in the form of his life, he is apparently fearful of not getting another opportunity to move to Real Madrid. 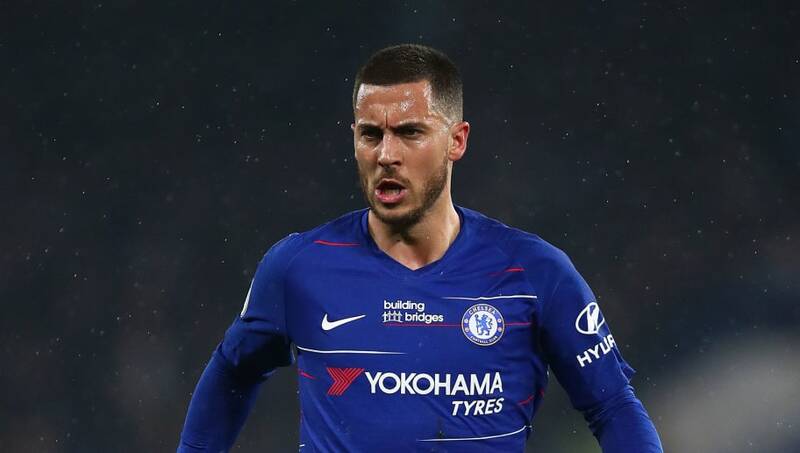 The Telegraph suggest that should Chelsea risk letting Hazard leave as a free agent, the likes of Manchester City or another top Premier League club could swoop in - which would be a disastrous scenario for the Blues. In the standoff, Real Madrid remain ​'confident' of wrapping up a deal for Hazard this summer, and want to continue their squad makeover with a move for fellow Premier League superstar Paul Pogba.